Something I became all too used to hearing on the streets of 2012 Riyadh. Only 6 years ago. But under the rule of the Crown Prince Mohammed Bin Salman and the implementation of ‘Vision 2030’, just maybe, Saudi Arabia is in with a legitimate chance of becoming a tourist destination. Probably quite the controversial one mind you. As far-fetched as it may seem, the country seems to have successfully put plans in place to offer tourist visas to those visiting the country during a planned sporting event that took place this year. The event saw the likes of David Guetta and Enrique Iglesias helping to mark the beginning of a new tourist friendly Saudi Arabia. But how many people would consider a holiday in Saudi Arabia? Especially right now. They’ve been batting around the idea of opening up the country to tourism for quite a while. I remember back in 2012 when I was living in Riyadh, hearing rumors of plans to open the country up. Back then I felt they had a lot of changes to make if they wanted holiday makers to pay their hard-earned money to visit this country for a vacation. Saudi Arabia has long been a place of mystery. A country full of notoriously strict laws, it is usually next to impossible to get a visa, and never, ever been possible to get one as a tourist. I can’t help but wonder, will tourists really be accepting of Saudi’s tough rules? To start with, even the dress code is exceptionally conventional. Walking around in desert heat covered top to toe in an abaya could prove interesting to some, irritating to others. Alcohol and pork are completely illegal here, so definitely not a party destination. Photography is generally frowned upon. Never photograph locals, government or royal buildings. So not one for your Instagram either. But now, the decrease in oil prices has encouraged Saudi Arabia to move forward with their plans of making the country tourist friendly. The latest in a series of initiatives to increase tourism included the access to the purchase of a tourist visa alongside a Grand Prix ticket held in the Kingdom on the 15th December. The first of its kind. The concert seemed to be success despite the country’s plunge into mainstream tourism being surprising and very recent. It looks like further opportunities will arise into 2019 to purchase tourist visas along with tickets to planned entertainment events in the hope that Saudi Arabia can follow in the footsteps of its successful neighbors including Bahrain and Dubai. Let me tell you, from experience. You must be a certain kind of patient, open minded individual to truly appreciate Saudi Arabia. When I heard about the slow introduction of tourist visas, I was the first person to get excited! None of my friends or family could experience the country whilst I was there, maybe I could take them now. Show them why I lived here for so long. You see, 2012 Riyadh was a lot different to 2017 Jeddah. It’s fair to say, I saw some positive changes in my time calling this wannabe future holiday destination my home. Since I left, they have lifted the cinema ban and allowed women to drive, but even prior to this, things were becoming easier. In Jeddah the women would wear colorful abayas, often open to show off the high fashion they were sporting underneath. The power was taken away from the Muttawah (religious police) on the streets. Today there is virtually no presence from them. Multiple hipster style coffee shops have started popping up with mixed gender seating areas, and I’ve even heard music being played in shops and restaurants. So, things are most definitely moving forwards. In my opinion, Saudi Arabia is more than worth a visit. It is one of the most fascinating countries I have ever had the opportunity to travel to. Living there was effectively witnessing evolution with my own eyes. There is a visible change happening and you cannot only see it, but you can feel it. The older generations still cover their faces and speak minimal English, but the younger generations are hip, fashionable, speak with an American accent, and are educated and influenced by top international universities, the internet and, social media. 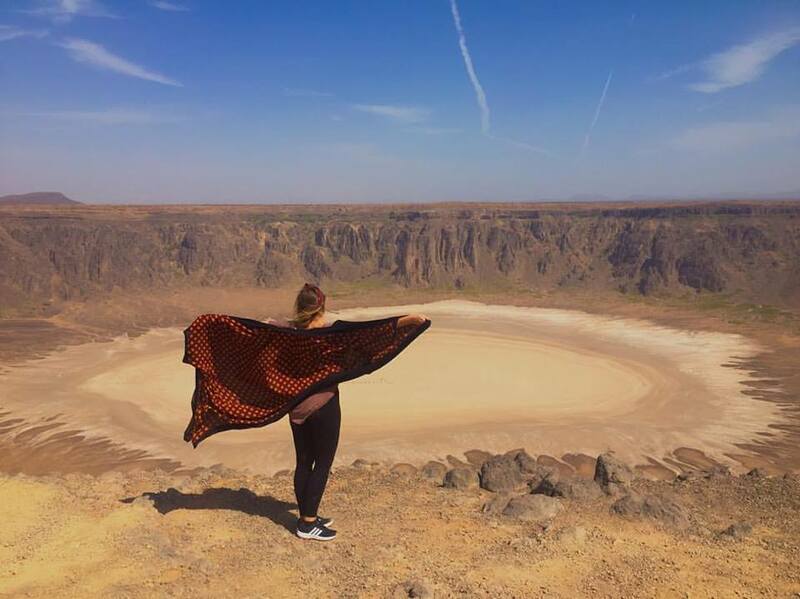 There are so many reasons to step out your comfort zone and brave this fascinating, albeit strict country. And what better time to get in there before the full infiltration of tourism takes hold? 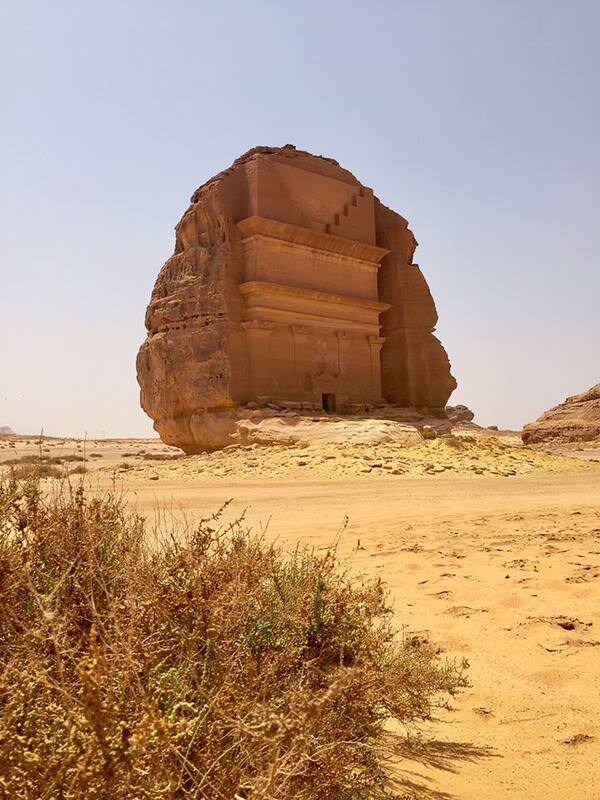 Mada’in Saleh is a little known Nabetean settlement and the second largest of its type. Of course, the most well-known is Petra in Jordan, and it’s fair to say that Mada’in Saleh is certainly no less impressive. Located in the Al Madinah region of Saudi Arabia, Mada’in Saleh is rarely ever visited by tourists. Really because there are no tourists in this country. Most of the visitors are made up of expats and curious locals. The UNESCO world heritage site consists of about 130 tombs, cut elaboratively into a series of rock faces out in the middle of the Saudi Arabian desert. It is accessible by flight into the religious hub of Medina, followed by a 4-hour drive to Al Ula, a city that sits on a desert oasis. 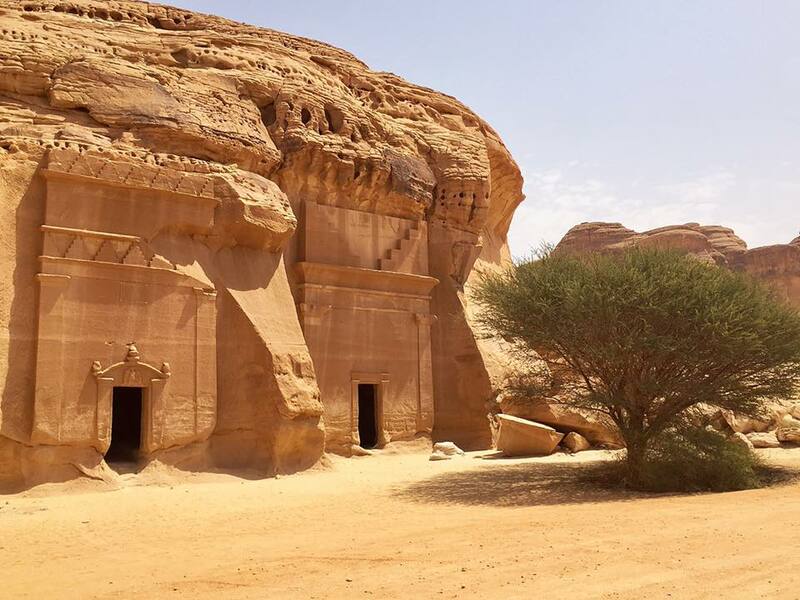 The complete lack of people, the silence, the mystery, the perfect preservation and the total freedom to explore make Mada’in Saleh one of the world’s greatest kept secrets. Jeddah is a city I called home for a few years. 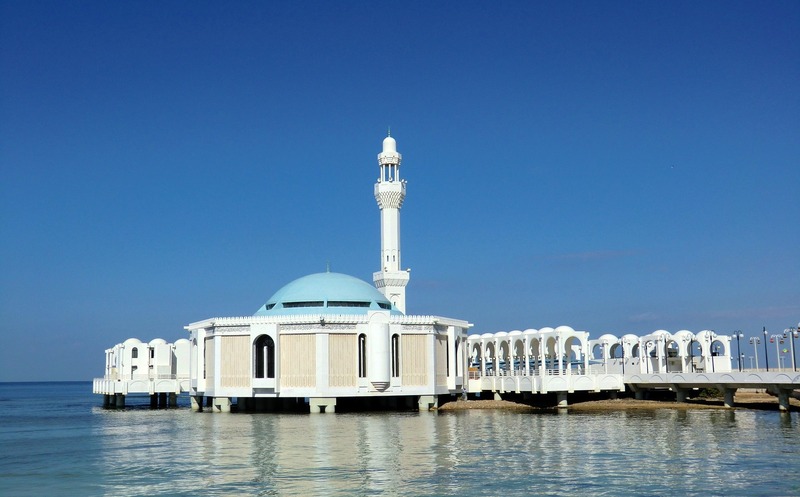 Located on the Red Sea, it is often referred to as the gateway to the holy city of Makkah. A hub for worshippers landing in the country to perform Hajj, but also, an ancient Arabian city filled with charming traditional souks and crumbling buildings reminiscent of a time gone by. Al-Balad is the historical section of the city. It encompasses stunning coral stone buildings with ancient roshan windows, that once stood inside a walled city. The city walls were unfortunately torn down back in the 1940’s before the site came under preservation. Finally, in 2014, Al-Balad was accepted as a UNESCO world heritage site. Today there remains a thriving market and the Mosques still ring out call to prayer 5 times a day. 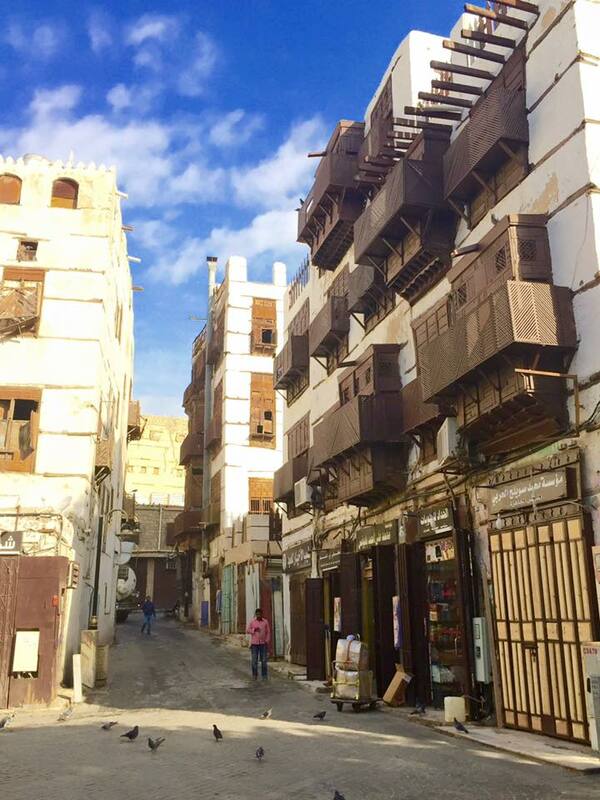 A handful of the buildings are still inhabited, although many Saudi’s moved out of the area when the country became wealthy through the 80s and 90s. But mostly, the old town is reminiscent of a time gone by in a country that is now so saturated with wealth, apartment blocks and fast cars. 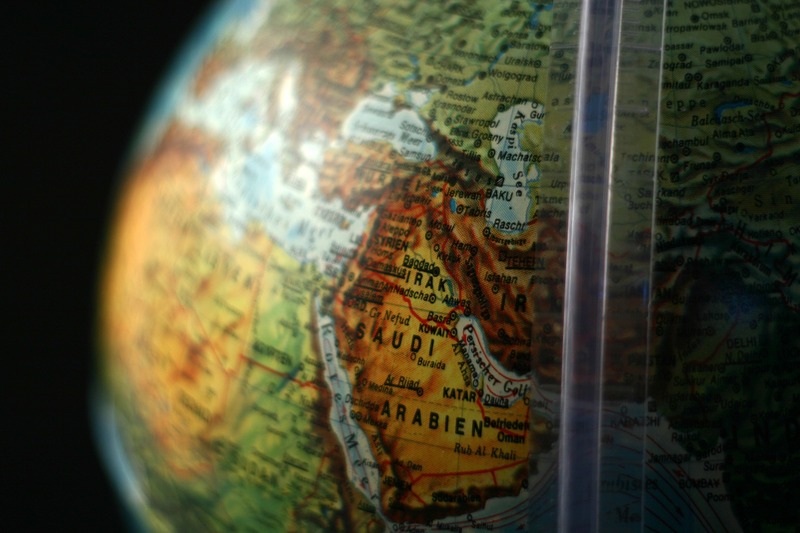 Riyadh is the capital of Saudi Arabia and is home to people from all over the globe. 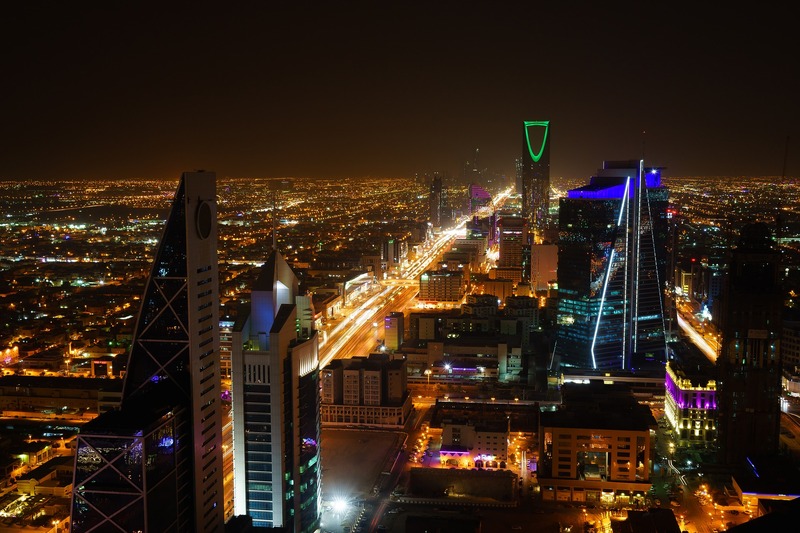 Local Saudis and expats alike, living and working in a brand new, cosmopolitan and increasingly urban city. 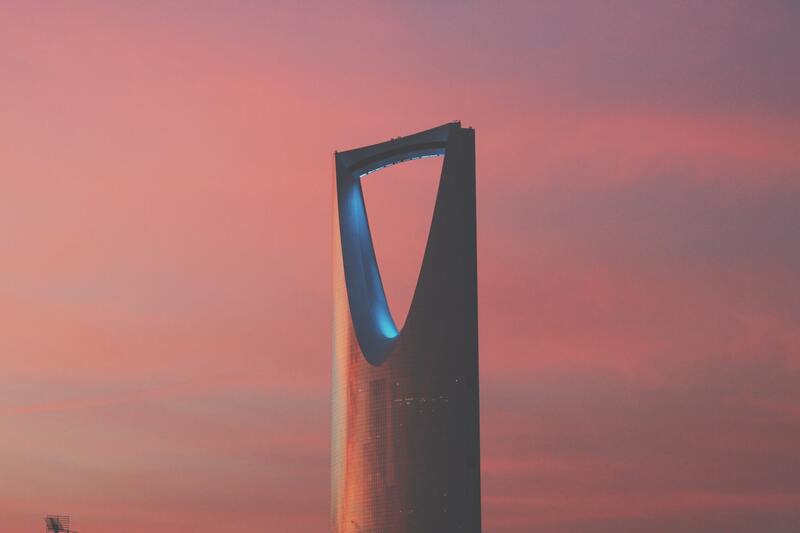 Since the 1990’s, Riyadh has slowly become the commercial center of the Kingdom with large national companies making the city their hub. There is a couple of historical sites that remain in this ever-expanding city. The Masmak Fort to name just one, located close to what expats call ‘chop chop square’ (where capital punishment still takes place-FYI). 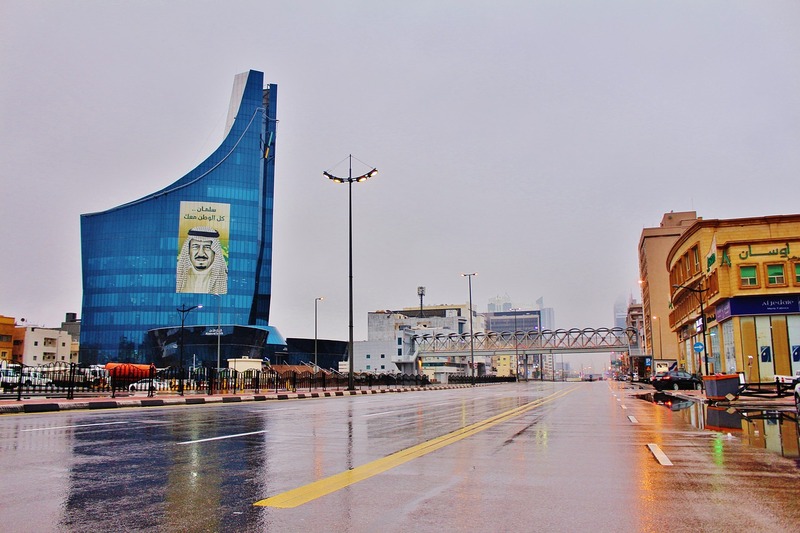 But Riyadh is really all about modern architecture. The award winning ‘Kingdom Tower’ holds a three-storey shopping mall and is one of the tallest buildings in the country with some of the best views across Riyadh. And the famed ‘Al Faisaliyah Tower’ contains a restaurant in the ball at the top. ‘The Globe’ is well known for not having to wear an abaya (I’ve always been unsure of the reasons behind this) and the outside viewing deck offering stunning views across this sparkling metropolis. The Red Sea is widely regarded as being home to some of the most beautiful sea life, corals and water on this planet. The benefit of accessing these waters from the shores of Saudi Arabia include lack of crowds and unaffected coastlines due to little use. ‘The Red Sea Project’ is another ‘Vision 2030’ initiative that plans to see all kind of luxurious resorts and diving schools pop up along Saudi Arabia’s surprisingly stunning coastline. 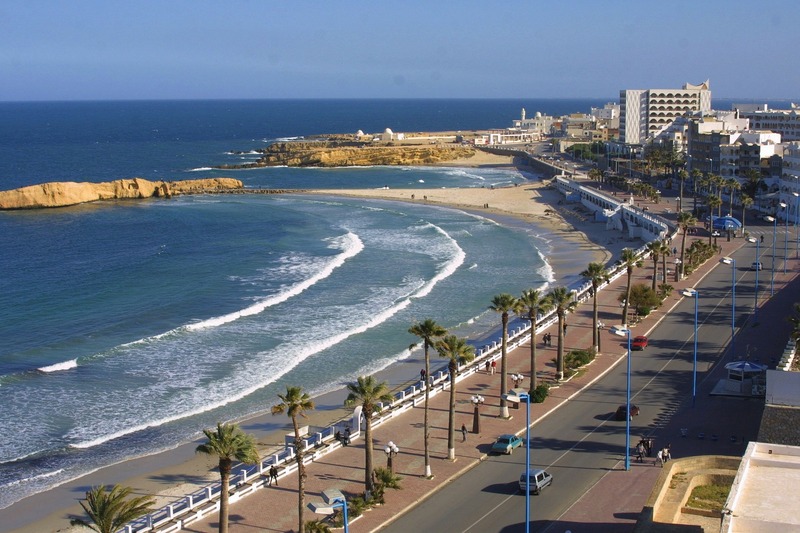 The intention is to attract up to 30 million holiday makers per year by 2030. 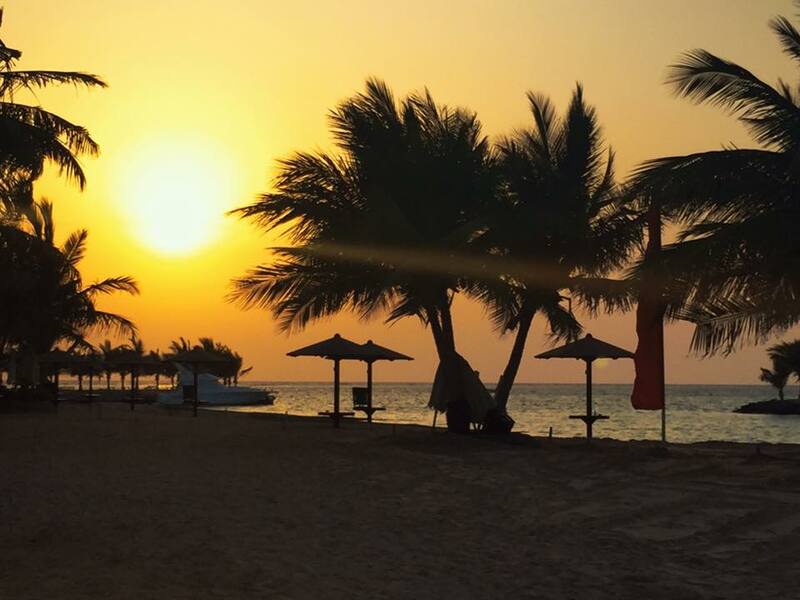 With over 50 uninhabited islands, untouched coral reefs and a year-round weather forecast averaging 30c and guaranteed sunshine, maybe Saudi Arabia isn’t a bad choice after all? Brexit house prices – what do experts think will happen to the housing market in 2019?